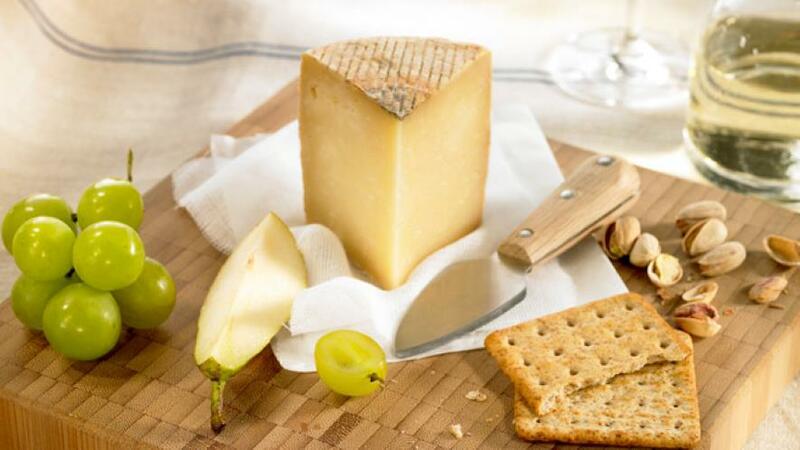 Manchego Cheese is an oily cheese, made exclusively from raw or pasteurised Manchega breed sheep's milk. Its shape is cylindrical. The rind, yellow or dark brown in colour, displays, on the sides, the characteristic design of the esparto creases and, on the top and bottom, the so-called 'flower' or mark made by the wooden press slats. Its texture is compact, dense and oily, its colour varies between white and yellowish-ivory, and its flavour is intense, peculiar and slightly salty. It has had a Denomination of Origin since 1991 and each cheese must be identified on one of its flat sides with a numbered casein plaque. La Mancha, the region that produces this cheese protected by the Denomination of Origin, is the largest natural region in Spain. 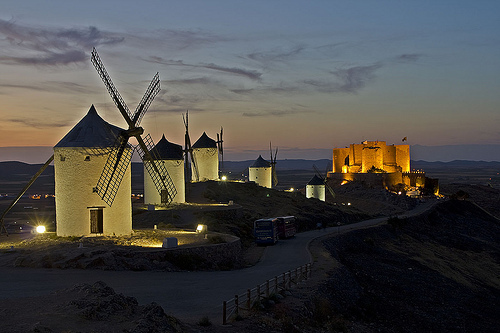 Located in the centre of the Iberian Peninsula it covers the provinces of Cuenca, Ciudad Real, Toledo and Albacete. It is a plateau region, with an average altitude of 600 metres, where there is a wide variety of native plant life that serves as feed for the livestock. To make the cheese, the Control Board only approves milk from the Manchega breed of sheep. The 'De Lujo' Gift Box with Serrano Ham:A whole Serrano ham is the centerpiece of this deluxe collection. Artisan aged Manchego cheese in a wood box and fine wines make for a wonderful party or a perfect gift for that special occasion.